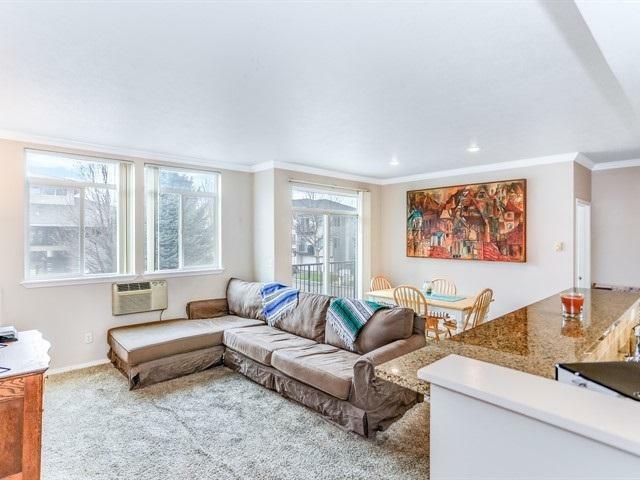 Beautiful sunny 2nd level corner condo in The Big Trout Villas. 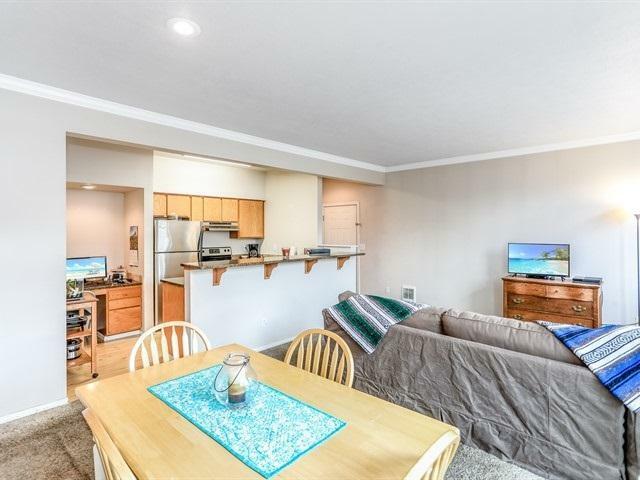 This unit has been upgraded w/ granite counter tops & stainless steel appliances. 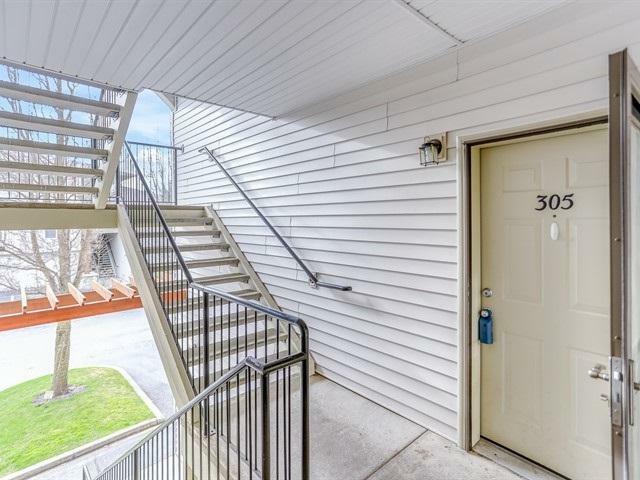 This 2 bed, 1 bath unit has great storage w/ linen closet & entry closet, new hot water tank, crown molding & includes all appliances. Amenities of this complex include a pool, hot tub & a fitness center. 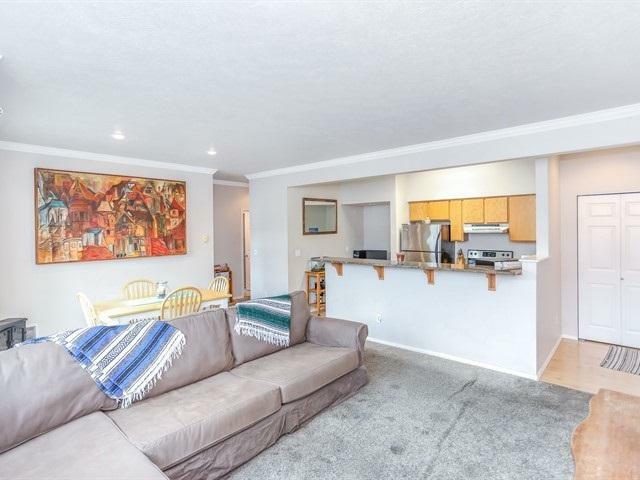 Unit comes w/ an over-sized 1 car garage w/ lots of storage that is very close to the unit. Close to services, shopping, dining, golf & courses. Move in ready!